How do I add my own branded URL? 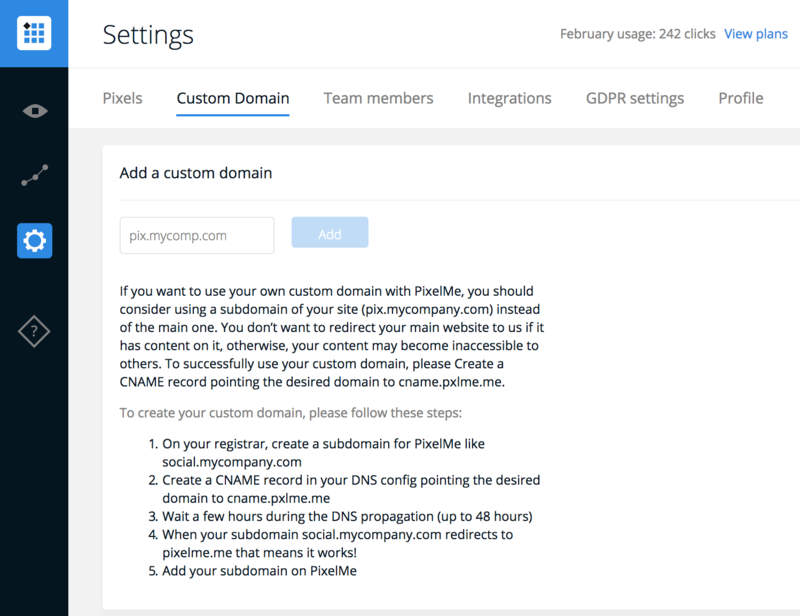 Go to the 'Settings' tab on your PixelMe account, then click the 'Custom Domain' tab. Then, redirect your shortlink DNS to our server using these two solutions: Create a CNAME record pointing the desired domain to cname.pxlme.me OR Create an A RECORD record the desired domain to 51.15.139.10. To find out more information about creating a CNAME record on your domain, visit our collection here.